St Mary's Home, at 13 Allerton Park, Chapel Allerton, Leeds, was established in 1954 by the Rescue and Protection Society of the Catholic Diocese of Leeds. 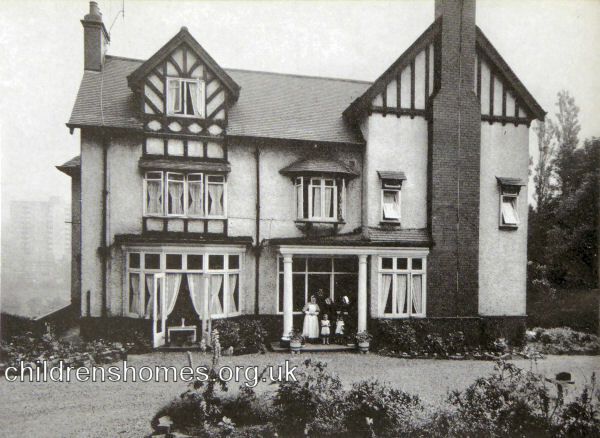 Its opening was part of the closure programme for the St Mary's Orphanage in Leeds, a move brought about by the 1948 Children which required that residential care for children should be in small family-group accommodation rather than large institutions such as St Mary's. Accordingly, plans began to be made for the closure of St Mary's and the provision of smaller homes in more rural surroundings. St Mary's housed up to 15 children aged from 3 to 16 years. The home was initially run by the Sisters of Mary Immaculate, later succeeded by the Sisters of the Holy Family. St Mary's closed in 1984. In more recent times the property has been used as a care home for elderly people. Former St Mary's Home, Chapel Allerton, Leeds. The National Archives, Kew, Richmond, Surrey, TW9 4DU. Has Reports of Visits (1954-69). Leeds Roman Catholic Diocesan Archives, Hinsley Hall, 62 Headingley Lane, Leeds LS6 2BX. Has Diocesan Rescue and Protection Society Annual Reports (1912 onwards).